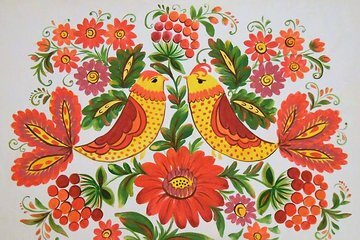 Join a local artist for a private workshop on Petrykivka painting, and experience a Ukrainian artistic tradition that’s listed as UNESCO Intangible Heritage. Creating your own Petrykivka painting is a memorable alternative to purchasing a souvenir in a tourist shop, and a hands-on encounter with an important part of local culture. The workshop’s private format ensures individualized attention as you work alongside the artist.